A commercial net lease agency with experience can help clients settle ongoing problems with their commercial properties to facilitate a new sale. SIG is a commercial real estate brokerage firm focused on commercial real estate and therefore aware of the specialized owner-tenant relationship struggles in commercial real estate. SIG agents can help clients deal with tenants struggling with payments while simultaneously finding the best buyer to take over the property. SIG agents worked to maximize profits with a higher CAP rate as well. Dan Hoogesteger and Andy Chana secured an all cash sale with a private buyer and 7.37% closing CAP for client Mark A. Fertitta Realty. Client had difficulty with a few of the current property tenants who were struggling with rent payments. Before client could successfully sell property, this situation had to be dealt with. SIG helped to with the delicate tenant negotiations and helped both buyer and seller agree to reconciliation for uncertain tenants. Client wanted to exchange into something with a higher CAP rate. 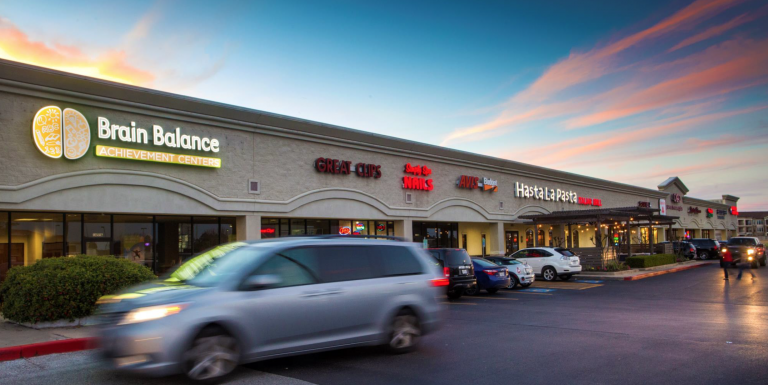 SIG highlighted the location of the lease in the Katy Retail Center, a property along a highly trafficked corridor with immediate frontage on Grand Parkway Highway 99. This highly visible property offered the perfect opportunity for a buyer to own a highway frontage, turnkey shopping center in one of the most desirable Houston Markets. The Katy, TX area has an average annual household income at $73,0000. The premier retail hub was also a market destination with a Kroger store anchoring the shopping center and 100% of the retail hub’s stores were also leased. Focusing on the fact that more than 57% of the tenants occupying the current space had been in the space for 10+ years gave potential buyers a great sense of stability. The area itself attracts numerous visitors along the high traffic Grand Parkway Highway 99. Marketing strategies included locating buyers most interested in highly trafficked areas and retail-centric shopping hubs. SIG’s proprietary database allowed agents to customize their investor and broker list to reach out to potential buyers with appropriate market portfolios. SIG brought an all cash offer from a private buyer who was enthusiastic and ready to move quickly with large financial commitments. The sale closed at $7,100,000 with a 7.37% closing CAP. During the process, SIG reviewed the client’s property regularly to ensure an individualized client-specific marketing plan developed around real-time market research through SIG’s proprietary technology.